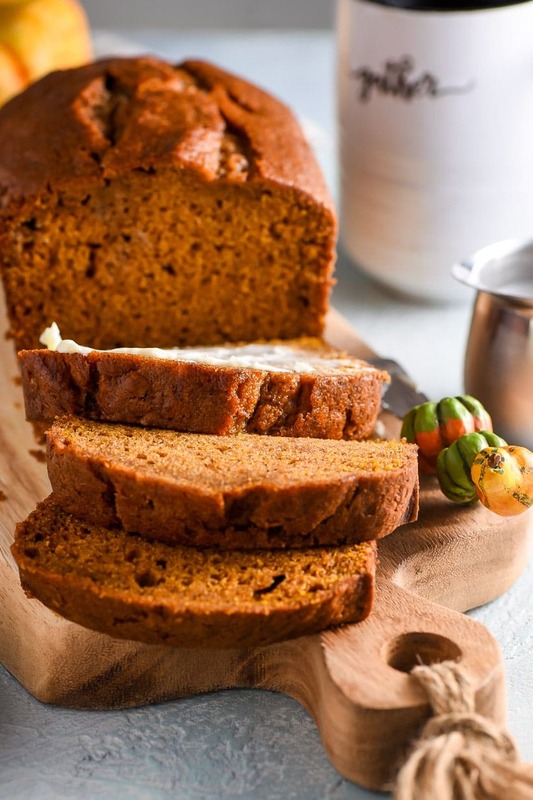 This Easy Pumpkin Bread recipe is made in a single bowl in about 20 minutes. 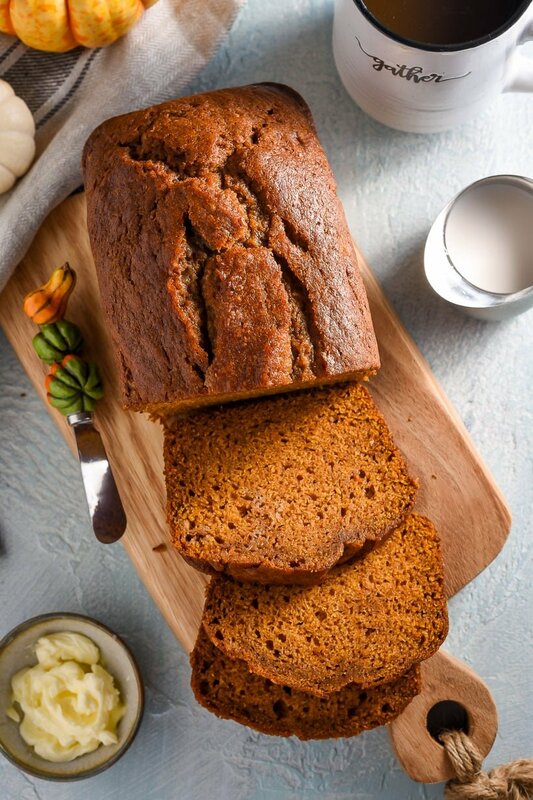 With all the warm autumn spices, this bread will have your house smelling amazing in no time! I made it almost to the end of September before the craving hit. It had been an unusually hot and humid month, followed by days of dreary, rainy skies. But finally, that day in late September, it happened. The sun was shining, the leaves were rustling. The air was crisp and refreshing. No air conditioning or heat was needed, just windows flung open to let in the breeze. It was on this day as I was putting my son down for his afternoon nap that I was struck by an absurd desire for pumpkin bread. All my plans to spend my precious nap time hours organizing the new baby’s room flew out the window and were replaced by plans to bake up a moist, spicy loaf of my favorite easy pumpkin bread. Typically, I’m not a pumpkin flavor fanatic. I don’t drink pumpkin spice lattes, I consider pumpkin donuts far inferior to cider donuts, and pumpkin pie registers as a solid “meh” amidst my list of favorites. Pumpkin bread, however, is the exception. Even my pumpkin-indifferent self cannot resist the charms of this autumn loaf. 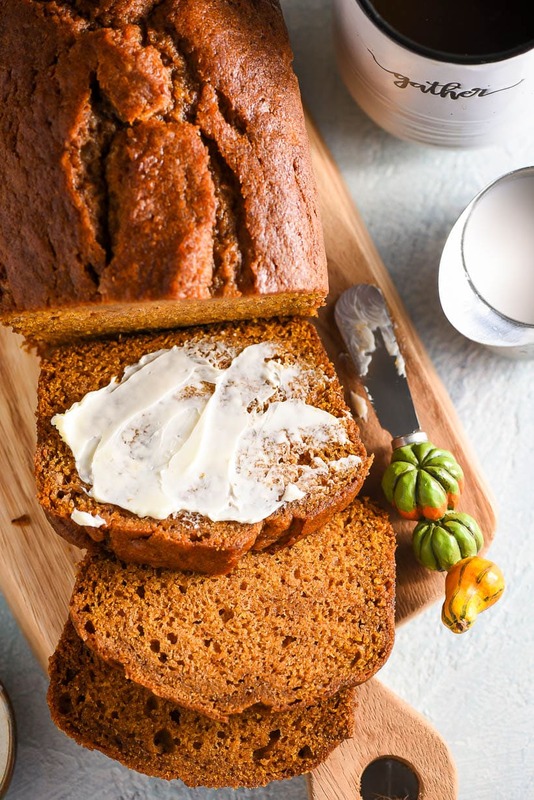 I’ve tried several pumpkin bread recipes over the years–some studded with nuts or chocolate chips, others piled high with crumb toppings or swirled with cream cheese. Still, this is the recipe I come back to every fall. It’s an old family recipe and one of the simplest recipes I’ve found. You can have this bread whipped up and into the oven in under 20 minutes, with only one bowl to wash afterward. It doesn’t get any easier (or more rewarding) than that! Start by whisking together all of your dry ingredients, including a blend of spices which includes cinnamon, ginger, nutmeg, and cloves. The original recipe only calls for cinnamon and nutmeg, but I’ve found I like my pumpkin bread to be a little less nutmeg-y and a little more gingery. Feel free to adjust the spices based on your own taste buds! Once you’ve got your dry ingredients combined, dump in the wet ingredients–the oil, eggs, water, and pumpkin puree-and stir gently until no white streaks remain. So, so easy! At this point, you can stir chocolate chips or nuts into the batter before dividing it evenly between two loaf pans. 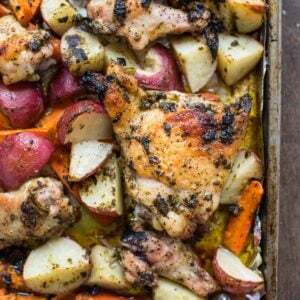 Pop that bad boy in the oven and wait for your house to start smelling amazing! This recipe does make two loaves, which is actually one of the reasons I love it. I usually either gift the second loaf to a neighbor, or wrap it in saran wrap and freeze it for us to enjoy later in the season. However, this year, with a pregnant momma and hungry 3 year old boy in the house, we plowed through two loaves before they could even think about spoiling! I’m not sure if I should be proud or ashamed, but I do know this: my belly is very, very happy. 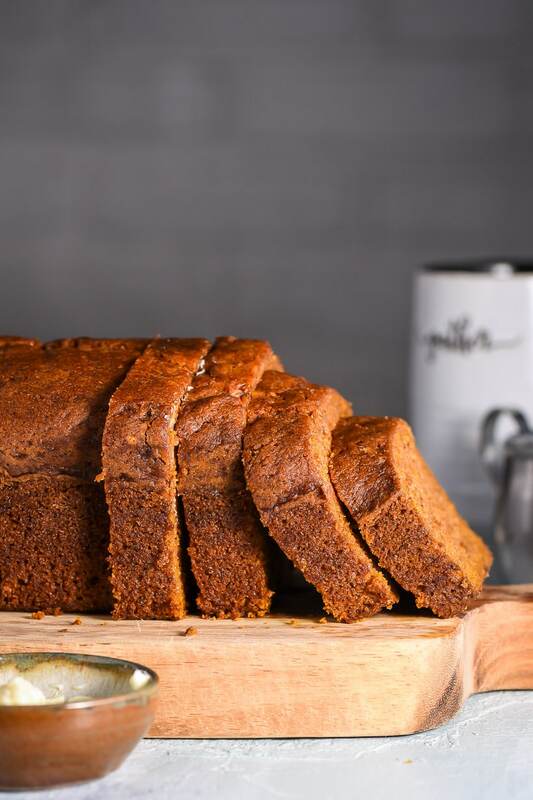 This easy pumpkin bread is moist and flavorful enough to stand on its own, but I’ll admit my absolute favorite way to treat myself is to cut myself a nice fat slice, warm it in the microwave for a few seconds, slather it with salted butter, and enjoy it alongside a cup of coffee. Combine it with an open window and a crisp fall breeze, and I’m the happiest lady on the block. 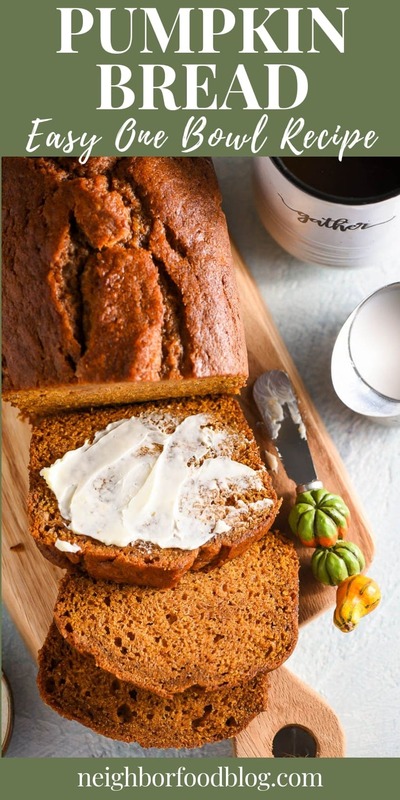 This easy pumpkin bread is super moist, subtly spiced, and made in a single bowl! Preheat the oven to 350 degrees. Grease 2 9 inch bread pans. Set aside. 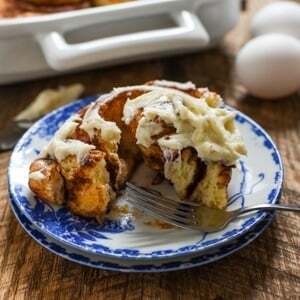 In a large bowl, whisk together the flour, sugar, cinnamon, nutmeg, ginger, cloves, baking soda, and salt. Add the oil, eggs, water, and pumpkin puree. Use a wooden spoon or spatula to gently stir the mixture together until no white streaks remain. At this point, you can stir in any mix-ins, like chocolate chips or chopped nuts, if desired. Divide the batter evenly between two loaves. Bake for 1 hour or until a toothpick inserted in center comes out clean. Cool in the pans for 10 minutes before removing and cooling completely on a wire rack. Bread can be served warm, but be sure to cool completely before wrapping and storing and/or freezing. To freeze: wrap securely in saran wrap then place in a ziplock freezer bag. Thaw overnight in the fridge or at room temperature. Bread should keep for up to 3 months. This makes me so incredibly happy. I’m so glad you and your daughter enjoyed it. Thanks for taking the time to come back and let me know!